The “Ile d'Yeu” is one of the Atlantic islands near the French coast. 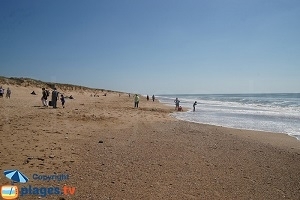 Located about twenty kilometers off Saint Jean de Monts and Saint Gilles Croix de Vie (north of Les Sables d'Olonne),the island offers a completely different landscape than that of the mainland. There are vast sandy beaches on the eastern coast that compares with Vendée beaches but also small idyllic coves on the “Côte Sauvage”. To break the monotony of the large expanses of sand, you have to go to the south of the island of “ile d’Yeu” between Point of But and Corbeaux Point. The coastline becomes rugged and then gives way to some beautiful little coves in idyllic landscapes. 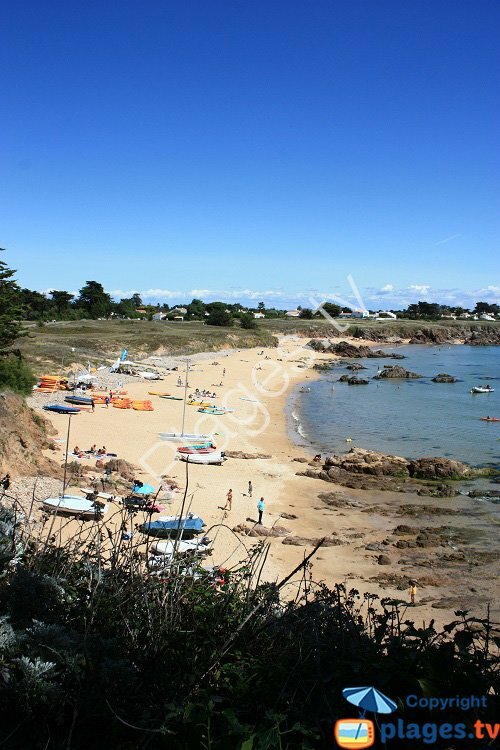 However, be careful because the various beaches of the Ile d'Yeu are not supervised. Swimming is at your own risk. Southwest of Port Joinville (main port of the Ile d’Yeu), Belle Maison Cove is undoubtedly the most beautiful beach of Ile d'Yeu. Below a jagged coastline, a beautiful stretch of sand with clear water. It's not the easiest cove to access but the scenery is beautiful. However, it is deemed unsafe for swimming. 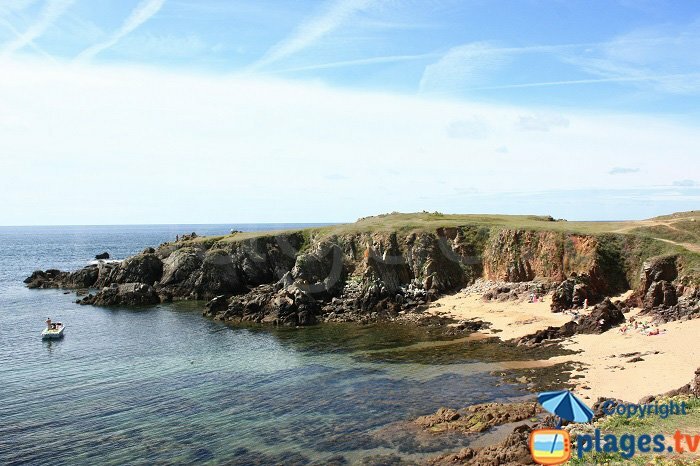 Near the previous cove, we find Sabias Cove which is more sheltered and more family orientated. Offering views of “Vieux Chateau”, it has a beautiful stretch of sand but the untamed coast there seems less impressive. 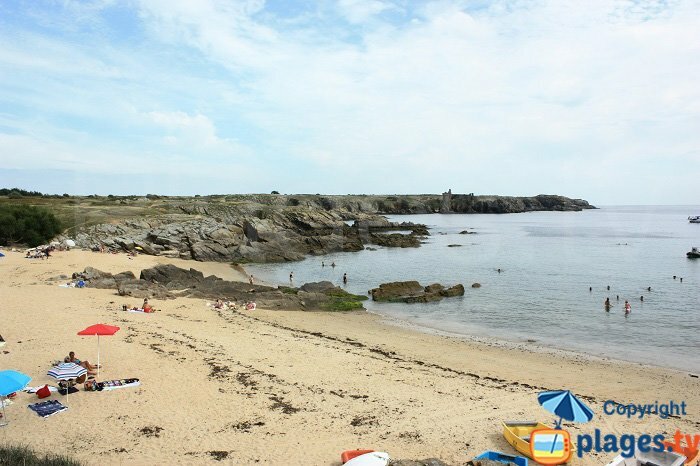 In the extreme south of the island, the cove of Soux offers one of the most beautiful landscapes of Ile d’ Yeu. The cove is small but has all the beauty of the untamed coast. With rocks planted in the sea, resembling remote islands. However, in the summer season, it is very crowded. Swimming is also indicated as dangerous. South of the island, near the Point of Corbeaux, Vieilles Cove is one of the largest coves of the untamed coast. 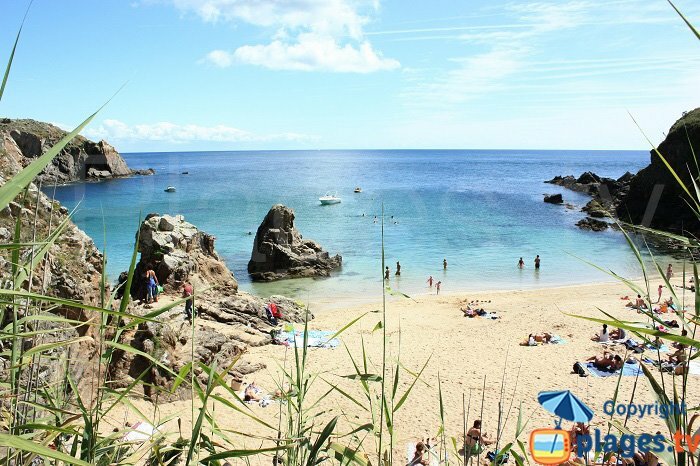 It is also the busiest cove with water activities (surfing school, rental of kayaks and canoes). 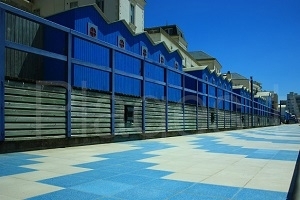 Its gently shelving beach is suitable for families with children. Near the port of “La Meule”, Fontaines Coves are reserved for the more sports minded. The access is not always easy and the different beaches can be covered at high tide. But these are peaceful coves even in high season. Those who love large expanses of sand will return to the southeast of the island for the Grande Conche or the beaches of Ovaires. The scenery is different with some small dunes, marshes and pine forests. 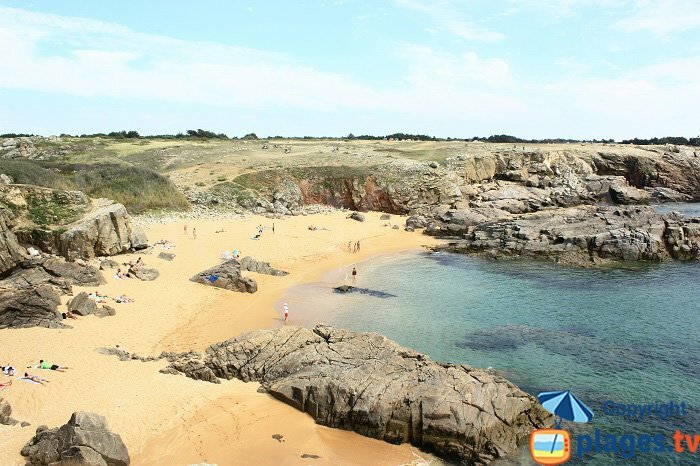 The Vendée offers a second interesting island (or peninsula with a bridge connecting it to “La Barre de Monts” since 1971), that of Noirmoutier where there are some beautiful original coves.